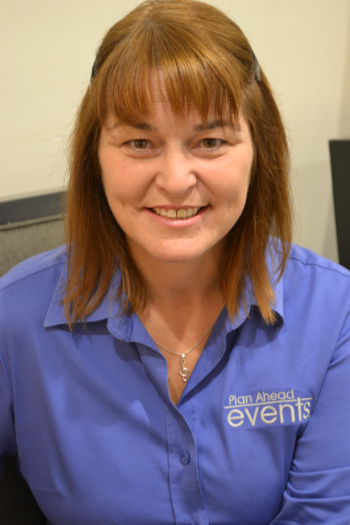 I have been in the events industry for over 10 years and in project management for more than 25 years. I love helping clients quantify their event goals and design a program to deliver based on the metrics. I also love being a business owner and working with an amazing team who inspire me every day with their commitment to the industry and our clients. I have been involved with Meeting Professionals International since 2006 and am a past Chapter President serving in that capacity in 2010/11 and again in 2015/16. We work with groups of all sizes and programs of varying complexity. We love to work with academic and medical groups who focus on knowledge sharing and scientific presentations. We look after all the details of their program, presenters, setup and logistical delivery. We are experienced in medical accreditation and the rigorous process for approvals. We have a robust conference management system that allows us to strategically manage all aspects of the projects. I have been very fortunate to have a series of amazing people in my work and personal life who always challenged me to do the best I can. I have had wonderful mentors, friends and industry colleagues who all supported my decisions to leave the corporate world to open my own company, Plan Ahead Events. I work with people I love both on the client side and as part of my team. I am good at what I do because I truly care about delivering excellence in service to my clients. I am also a natural problem solver with a relaxed demeanor and a happy disposition which is perfect in the midst of what can be perceived as chaotic onsite running a large group. I have a team of professionals that work with me both as part of my direct team and the vendors I trust. My strong relationship with the events community has really been a valuable resource. If I could change anything in our industry, it would be public perception and knowledge of the economic value of the meetings and events industry. This industry contributes over $29 billion to our economy in Canada and there is very little awareness that this industry is a vibrant and significant force employing over 300,000 people across the country. I am a proud and vocal supporter of investment in event infrastructure having had the opportunity to support the development of the new Halifax Convention Centre scheduled to open in 2017. My day starts early, I’m typically at my desk at 5 am where I answer emails and schedule appointments to connect with people about various aspects of my events. After a few hours of emails, the rest of the world wakes up and meetings begin. I spend time meeting with clients, vendors and other stakeholders in events under construction. I work with teams who are geographically spread across the country so regular conference calls keep all aspects of our events on track. I am very proud of my Bachelor of Business Administration from Mount Saint Vincent University. I studied part-time for 16 years to complete my degree and walking across the stage graduating with distinction was an incredibly proud moment. I am proud of opening a business and after seven years, I am even more proud of the team of staff and clients I get to work with. I was invited to join the Board of Destination Halifax and I am very proud to be part of the team providing governance to what I believe is the best destination marketing group I know. Team Halifax led by Destination Halifax is a strong, cohesive and extremely motivated group of partners all dedicated to ensuring all visitors to Halifax have an amazing experience. The events industry in our region is vibrant and exciting with amazing venues and suppliers who all work tirelessly to deliver for our clients. I have been very fortunate to work with incredible clients. We have worked with the Canadian Red Cross for many years both regionally and nationally on conferences including Emergency Care and Disaster Management. We work with safety professionals producing an annual Workplace Health & Safety Conference and a group of sleep specialists who come together every other year to present cutting-edge primary research on sleep disorders. They all inspire our team by their passion and commitment to their industries. How do you deal with the challenges of work-life balance? I start my days very early and work hard throughout the day. I do have a home office so balancing work and life was a challenge in the early days but over time I have made a commitment to myself to put my computer and my work away at 5 pm each day. I try to take Friday afternoons off and not look at my computer from lunch on Friday until Monday morning. This isn’t a perfect system as events certainly take priority but the majority of the time I am able to manage work life balance well. Some of our conferences are incredibly inspiring and emotional. Over the years of working with the Disaster Management Forum, I have seen presentations on every major disaster in our country and around the world. I have heard stories about terrorism, earthquakes, hurricanes, floods, tsunamis and nuclear meltdowns but more importantly about the resiliency of the survivors. Stories about how communities rise out of the most difficult situations on the planet with the support of amazing groups in place to respond and care for them. It makes me even more appreciative of organizations like the Canadian Red Cross and the incredible teams of people who work with them. This entry was posted in Industry Profiles, People & Profiles and tagged CMM, COO, meeting planner, Plan Ahead Events, profile, Roberta Dexter.